There are two parts that businesses need to grasp about selling to a customer. You need to either be selling the What’s In It For Me, or selling the sizzle. Neither of them are from your perspective. You know how brilliant you are, you need to tell your customers what you know. Remember the example I had about assuming! Why is it important to sell the benefits? – It spares the customer the job of trying to work out how the item or service will fit a need, want, or other hole in their life. – Most importantly, it shows the customer that you understand them. It shows you have been listening. It builds your relationship with your customer. 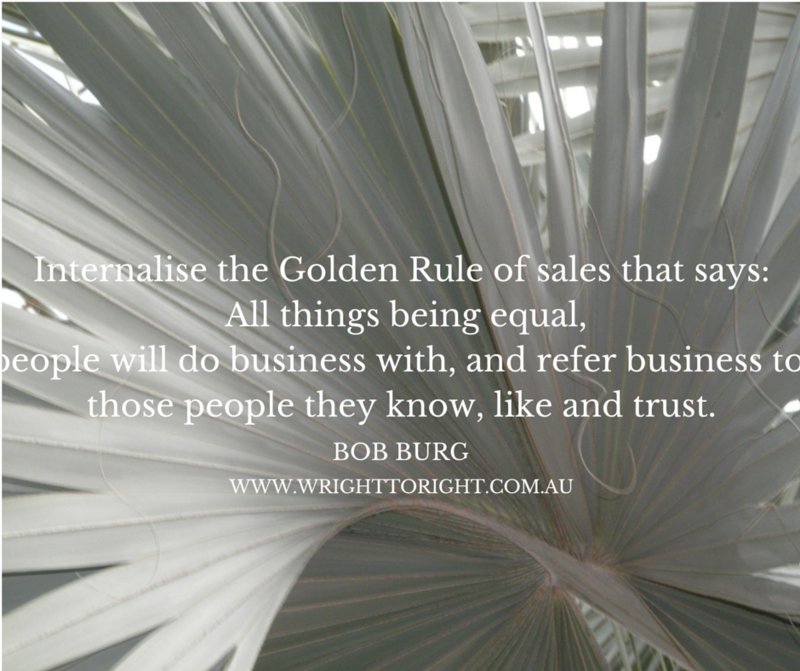 It engenders trust in you and your company. What’s In It For Me (WIIFM) and selling the sizzle are flip-sides of the same thing. One is a push sale (WIIFM) and the other a pull sale (sell the sizzle). By having the ability to define both and to do both you will meet the needs of customers who either shop for a need (WIIFMers) or are aspirational shoppers (sizzle shoppers). You need to be able to identify, attract and cater to both. The hard part is removing the answer from describing the features of the product/service and talking from your customer’s perspective. Though, you can make this easier on yourself if you have defined your ideal client. You can keep asking yourself the question a number of times for the same feature and benefit. The further you dig the closer you are to hitting your customer’s touch point. Remember those? You need, on average, seven to ten to make a sale. The better your touch, the fewer you will need. So go on, sell me! Give me your elevator pitch! Tell me your business name and the three reasons why I should use your business. Tell me your ‘so what’!